Prime Clinical provides healthcare professionals with the tools they need to manage their medical organizations more efficiently. Our fully-certified Family Practice electronic health records software allows physicians to provide better and more efficient care to patients by enhancing diagnostic accuracy through clinical decision support technology. Meanwhile, tools like intra-office messaging and task management help improve productivity and efficiency organization-wide. Choose from our library of family practice EHR templates or create custom templates and forms of your own. Track and see trends on important data, including vital signs, BMI, lipids, coagulation parameters, lab values, and more. Use voice recognition to document within templates and forms. Draw or hand-write on any document, template or chart note. Receive lab data automatically within the patient’s chart via an HL7 interface. 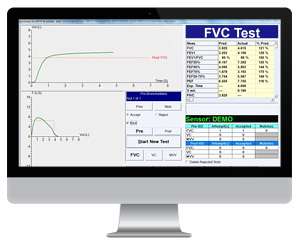 Integrate digital data from ECG, Holter and Spirometry devices directly into patients’ charts. Share selected data with patients through the Patient Portal. At Prime Clinical, we are extremely dedicated to helping healthcare organizations have the best experience possible with our EHR. Treating our clients well comes easy to us – and we pride ourselves on providing top-quality customer service and support each and every day. It’s one of the reasons providers trust our brand and recommend our EHR for Family Practices to other physicians. We also work hard to continuously improve our product so that our EHR remains practical, easy to use, and up-to-date. Ready to get started? Call 877-444-1156 or contact us online today!